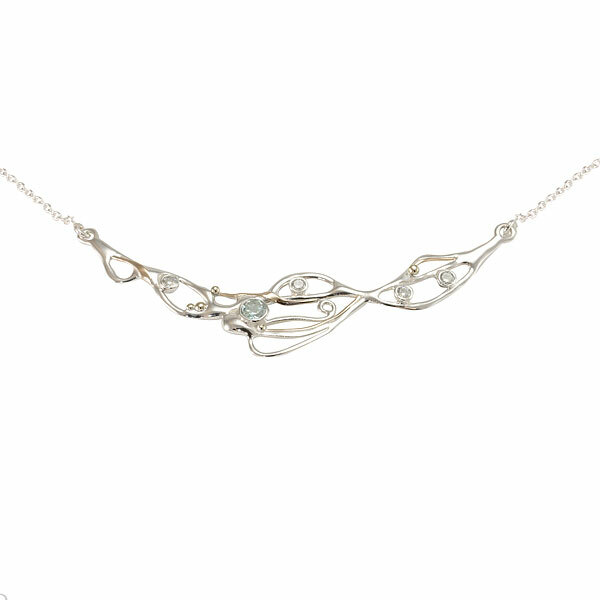 A striking silver necklace in the form of a crescent of flowing silver with gold wire detailing on which are set faceted Blue Topaz and 4 sparkling white CZ stones. 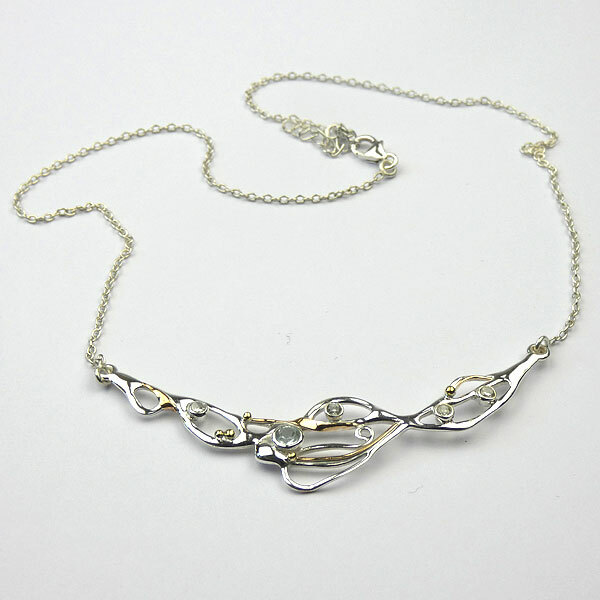 The necklace is held by a silver chain. Length of Necklace 370mm with 35mm extension chain. Designed & made in Devon by skilled silversmiths.